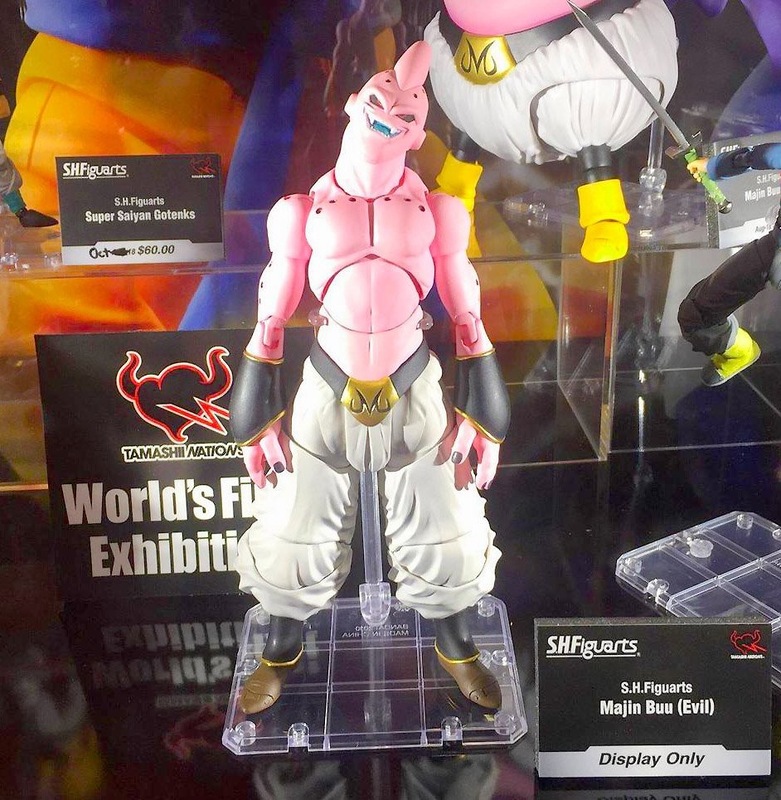 The Toyark › Dragonball Z Toy News › Evil / Super Majin Buu In-Person Shots from Fan Expo Canada! 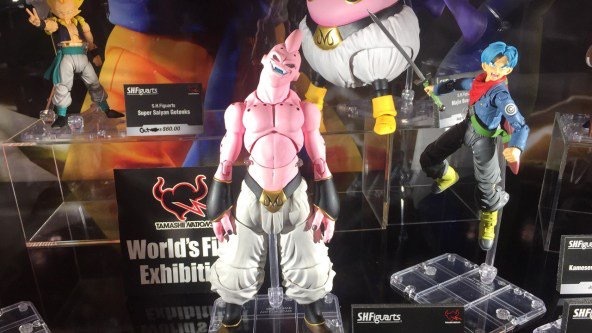 Evil / Super Majin Buu In-Person Shots from Fan Expo Canada! Thanks to TagHobby over in Asia and various fans in attendance at Fan Expo Canada, we have a solid look at the recently revealed S.H. 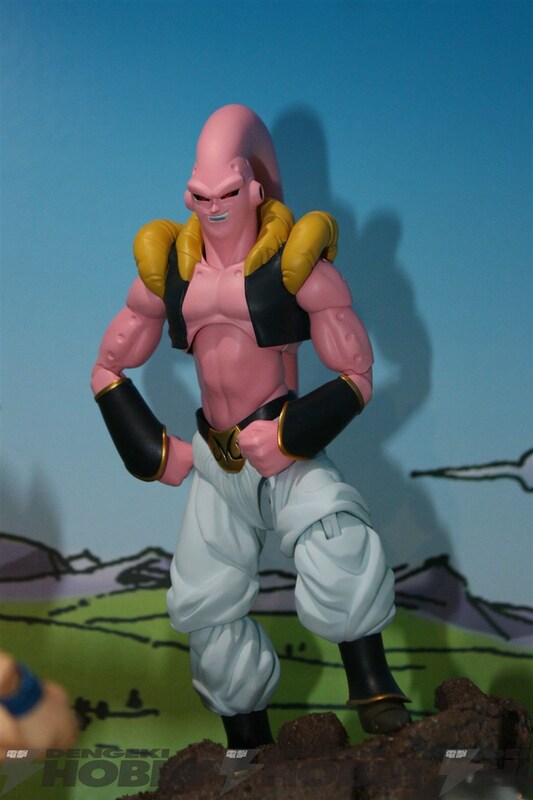 Figuarts Dragonball Z Evil Majin Buu. While he is being called Majin Buu (Evil), this is what US folks know as Super Buu. 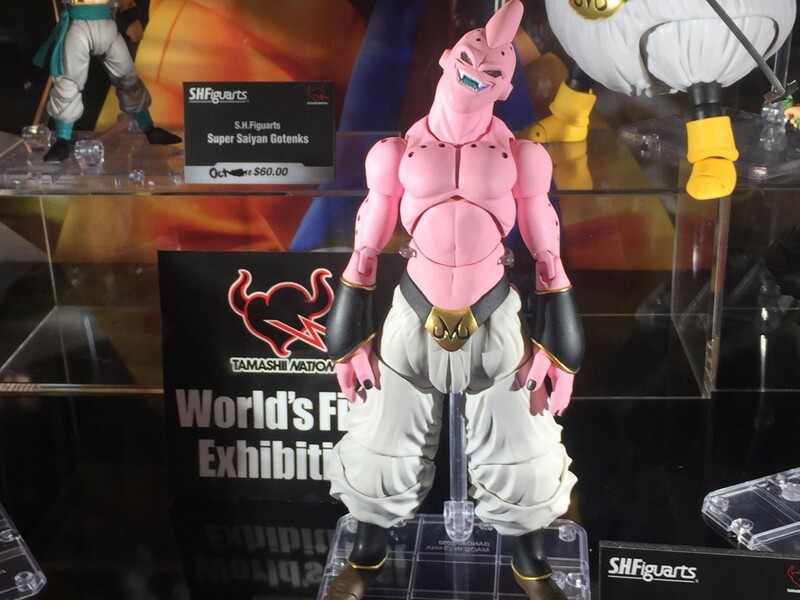 No word on accessories or release date yet, so for now just enjoy Buu in all his glory! Please note – these pics were ripped and shared like crazy yesterday, with no credit. If you are the photographer, please let us know so we can credit you. Thanks for snapping them! Yeah man, and looks way better than the preview ones a while back. Way better! I remember those. I have those pics saved just in case they would ever make him. This is great news for me! I love Dragonball Z it�s my all time favorite manga/ anime, but I don�t collect any figures from it. The S.H. Figuarts are too expensive for my tastes, and the Bandai America figures while much cheaper are too hit and miss for me to invest in the figures, but I must admit this figure looks really nice. 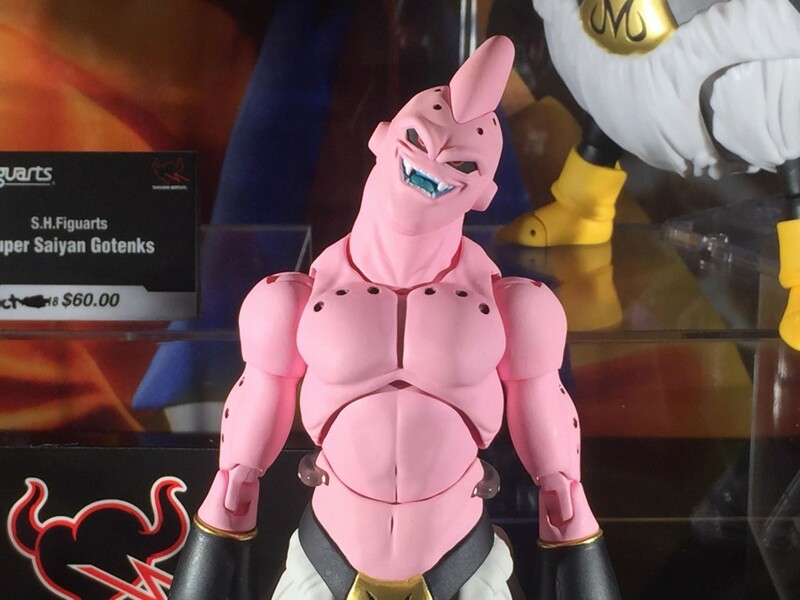 Also, Technically this is Super Buu not Evil Buu ( the skinny gray one)! Oh sweet, yes! My favorite version of Boo. I wonder how they'll "handle" the hands. It's not obvious from this picture if it's either the oven glove-like version from the manga or the regular, human-like hands from the anime. Ideally they would include both options. No idea who he is but love the lighting in that pic..
off this site..off the internet...off the device you accessing it through.. He might just be the greatest villain EVER! Very powerful and Ruthless. Wtf- still no kid Buu? Why the heck are we getting this intermediate form before the final form of the big bad? Also, why does this figure have 2 belly buttons? Whoah, negative alert. I like both versions of the character, but I'm glad that we are this version. 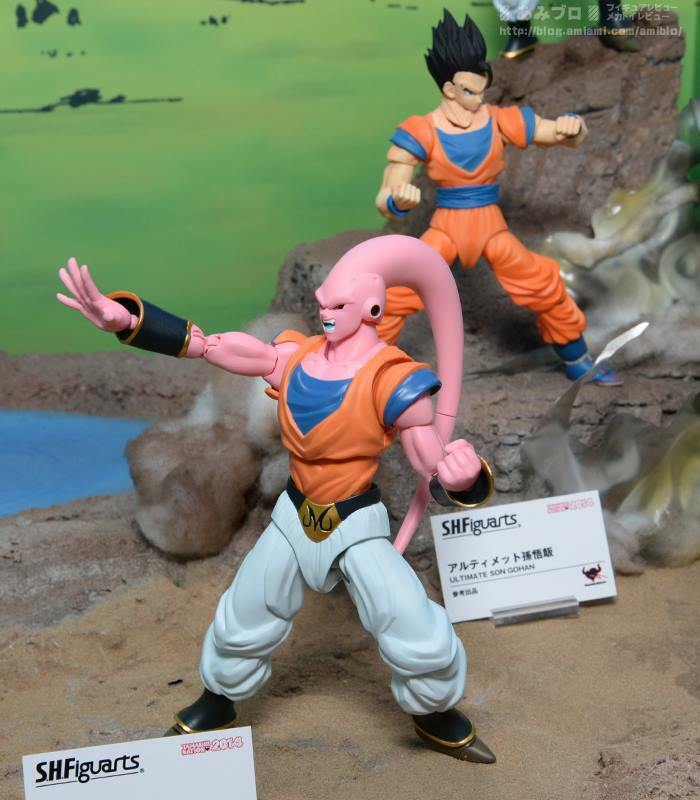 If you want Kid Buu, just get the Figure-Rise version. It's great. Those are not belly buttons, just abdominal indentations with weird lighting. My opinion, Super Buu is far better than Kid Buu. He actually speaks and isn't as much of a mindless animal. Yeah, fan86’s statement is all based on opinion. 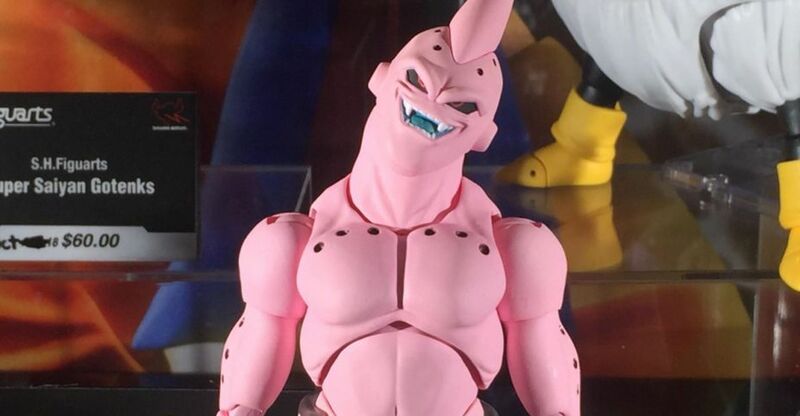 IMO, Kid Buu over Android 21, any day but Kid Buu over Super Buu? No chance! Actually, Super Buu over any other Buu form any day. But again, this is just my opinion. Figure-Rise will do for now for the Kid. Is it wrong that i think amdroid 21 is hot? It’s only wrong if you were human. It�s only wrong if you were human. Whew thank the gods. I was worried haha. he looks amazing (though that crotch piece is bothering me a bit). Personally Buu-tenks is my favorite version but this will do for now.